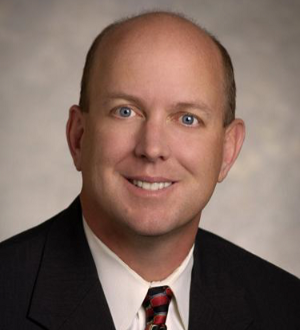 Bruce A. Griggs manages Ogletree Deakins’ Labor and Employment practice in Austin. Board Certified in Labor and Employment Law by the Texas Board of Legal Specialization since 1996, Mr. Griggs’ practice focuses on all aspects of labor and employment law, including defending employers in complex employment litigation in state and federal courts across Texas. Mr. Griggs has defended employers in class actions, FLSA collective actions, ERISA actions, non-compete and other business-related litigation, and has conducted numerous jury and non-jury trials involving claims under federal and/or state discrimination statutes. Mr. Griggs also represents and counsels employers in union avoidance, collective bargaining and arbitrations, and defends employers in unfair labor practice proceedings before the NLRB. Mr. Griggs also routinely represents employers in non-labor arbitration proceedings, including the arbitration of occupational injury claims and discrimination claims of all types. Mr. Griggs frequently speaks at employment-related seminars and has authored numerous articles on employment-related topics. Mr. Griggs has been recognized by Texas Monthly magazine as a Texas “Super Lawyer” in labor and employment law for every year since 2003. Mr. Griggs was elected as a Fellow of the Texas Bar Foundation in 2005. Mr. Griggs graduated from the University of Virginia School of Law in 1989, and served as a judicial clerk to federal district judge Sydney A. Fitzwater in Dallas immediately following graduation from law school.